It’s not often I get the opportunity to delve into the depths of fantasy-adventure novels, so the change has been an interesting welcome. If you’re a thrill-seeker, a supernatural-hunting-wannabe, a mission-impossible-style adrenalin junkie or courageous-fugitive aspirant, then these following books are for you! 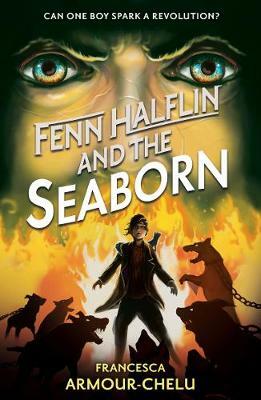 Fenn Halflin and the Seaborn by Francesca Armour-Chelu, July 2017. 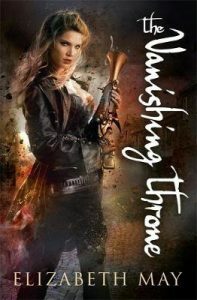 Following its predecessor, Fenn Halflin and the Fearzero, this final futuristic fantasy takes the resourceful and brave Fenn Halflin to new depths of heroism. With fantastic, fast-paced action, Fenn and his loyal mongoose Tikki are at the forefront of saving themselves and the Seaborn people from the grips of the merciless Terra Firma and their evil leader, Chilstone. Haunted by his past and his pain, Chilstone literally drowns in his own hatred in response to the inner strength of our protagonist, Fenn. Uncomplicated but enough visualisation to get lost in, the dystopian Fenn Halflin and the Seaborn will sweep its middle grade readers into a spunky science fiction odyssey. The City of Secret Rivers by Jacob Sager Weinstein, June 2017. Twelve-year-old Hyacinth gains a lot more than she bargained for when moving from America to London; the place of her ancestry. 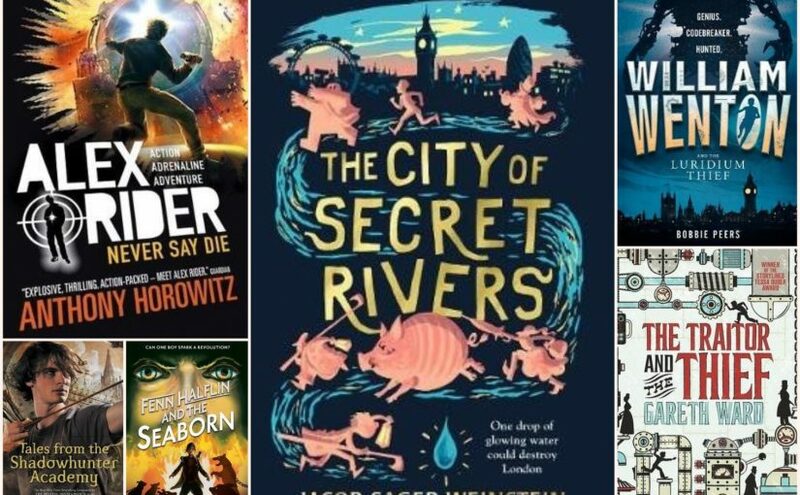 Drawing on a wonderful mix of real life and an underground magical alternate reality, author Jacob Sager Weinstein literally sweeps us through a series upon romping series of adventure into tunnels, pipes and mazes in the secret sewer systems of London. When something as simple as washing her hands sets off a complicated chain of dangerous events, Hyacinth is thrust into a world of outlandish characters, including muddy Saltpetre Men, toshers and a bather-wearing pig, facing tests of trust, bravery and the acceptance of a whole new identity. All this to save her kidnapped Mom, oh, and the entire city from the Great Fire – plot by the conniving Lady Roslyn. 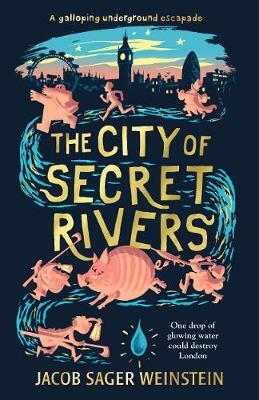 With elements of suspense, humour, excitement and pure terror, The City of Secret Rivers combines the kind of complexity and ingenuity to that of Lewis Carroll and J.K. Rowling all rolled into a fantastical adventure for mid to upper primary-aged children. 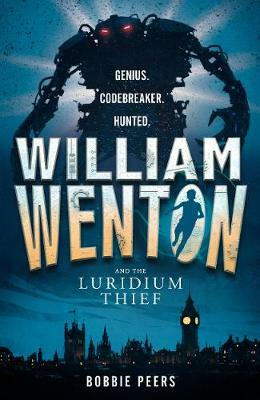 William Wenton and the Luridium Thief by Bobbie Peers, April 2017. First in this exciting new series is William Wenton; an extraordinarily talented codebreaker which lands him in all sorts of strife. Kidnapped by the Institute for Post-Human Research for his code-cracking skills, what follows is a series of mystery, adventure and secret discoveries. Wenton not only discovers the powerful substance, luridium whilst held captive, but also forges a path of self-discovery and identity, as most youngsters do on their journey into adulthood. With cryptic puzzles and fiendish mechanical inventions, the Luridium Thief is a captivating and enigmatic fantasy novel that will immediately hook those upper-primary readers. 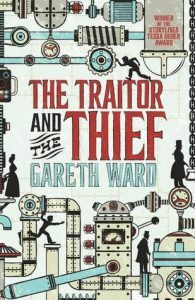 The Traitor and the Thief by Gareth Ward, August 2017. More secrets, spies and being hunted. Another thrilling steampunk story for older readers, The Traitor and the Thief is essentially about fourteen-year-old petty thief Sin, on his own mission of soul-searching, relationship-building, and becoming a saviour. Caught and recruited into the Covert Operations Group (COG), Sin is trained to be an agile spy with mastery in weaponry and technology in order to uncover truths and conquer dangerous adventures. With quirkiness and elements of imaginative realities, as well as a touch of budding young romance and navigating teenagehood, this fantasy novel suits those readers out for a good mystery mixed with adventure. Alex Rider: Never Say Die (Book 11) by Anthony Horowitz, June 2017. 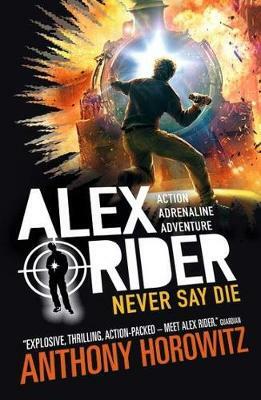 From the bestselling series here is a new mission for Alex Rider, a fifteen-year-old adopted into a writerly family, and recruited by the M16 agents. Intensely terrifying adventure leads to clues as to the whereabouts of his female guardian, Jack – ultimately held for ransom by a terrorist organisation. Set in Cairo, and packed with plot twists and turns, Never Say Die is an exciting and absolutely gripping explosion of action and adrenalin that will have its readers on tender hooks until the end. Tales from the Shadowhunter Academy, including authors Cassandra Clare, Sarah Ress Brennan, Maureen Johnson, and Robin Wasserman, May 2017. To fully immerse oneself in this latest volume of the ‘Shadowhunters’ series, background knowledge and loyalty to best-selling YA author, Cassandra Clare would be ideal. In essence of the Harry Potter-style ideology of mixing realms between the normal and the magical variety, these tales confront protecting the ‘mundane’ world from the dangers of the supernatural beings. 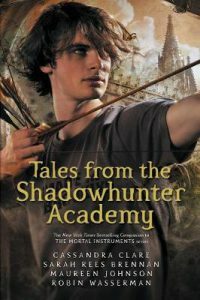 With ten short stories written by four authors and varying in complexity, Tales from the Shadowhunter Academy fans will, I’m sure, relish learning of every new skill, memory and life discovery of its central character, human / vampire / Shadowhunter Simon Lewis. 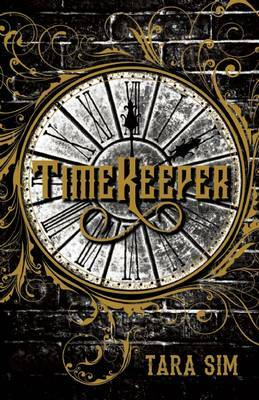 Timekeeper by Tara Sim was an absolutely magical and adorable steampunk fantasy! And I most empthatically loved it. I’m quite excited over that too, becasue I’ve not found a good steampunk I loved until now. Timekeeper goes firmly on the “favourites” list for including all the glorious things a book should have: great plot, relatable and sympathetic characters, tea and scones, very adorable clocks, and explosions. There is literally so much win here. Timekeeper is set in an alternate Victorian London, where Danny Hart is a clock mechanic who’s survived a tragic accident and is now reeling from PTSD and severe anxiety. In his world, clocks control lives. And if one Stops? People will be forever trapped inside a minute. Mechanics must maintain clocks and keep the world together. And they must not fall in love with the clock spirits who reside in the towers. Cue Danny meeting the adorable, naive, and winning clock spirit named Colton. And if that doesn’t complicate his life (he doesn’t want to get fired?!) there’s also someone sabotaging all the clocks in England which could permenently kill everyone. Nice. I loved how the book heavily featured clocks! I’m actually a complete clock nerd and am obsessed with time so (yes I’m the person who knows when it’s 2:32 because that is a huge difference to 2:30, of course) and the fact that there were clock spirits (aka time was personified!) absolutely intrigued me. I wanted to know more immediately! I love books centring around anything that vaguely resembles ghosts or spirits who are nice and just want to live a happy life. Precious darlings. The romance was absolutely delightful too. I loved Colton, the clock spirit! Their relationship is slowburn and very complicated…considering, well, Colton isn’t really human. I love how they related through fairy tale stories and Greek mythology. They both were tragic in their own ways (Danny suffering from his accident and Colton being forever trapped in his clock tower) and it was an all round well written romance that you can’t help but root for. Plus the plot was exciting and full-on. Between Danny’s baggage and his budding romance with Colton — we also have that little teeny tiny problem of someone trying to destroy the world. Danny has lots of competition as a mechanic and people who’ll make life hard for him because he’s the youngest Mechanic ever. There’s a good dose of Greek Mythology going on too, with gods I hadn’t heard of before so that was interesting. Timekeeper was a thorough win for me. Good plot. Good characters. Good romance. Cute clocks. What more could you want? The representation of mental illness was spot on. And I loved the engaging high-stake story, the family elements, and the aesthetics of a London run on clocks and steam. It seems that steampunk has grown beyond simply being a literary sub-genre. It has made its way out into the real world like no other genre, with the possible exception of gothic fiction. It has become a style, not just for cosplay, but for day-to-day accessories and decorating. Cosplay, the art of making and wearing costumes for fun, has been around for a long time. Often centred around Japanese anime or particular science fiction/fantasy films and television shows (Star Trek and Star Wars spring to mind here), there is a growing steampunk costuming fashion. Ever since the Australian Costumers Guild moved it’s base of operations from Melbourne to Adelaide, South Australia seems to have become the Australian capital of steampunk cosplay. They even have a group dedicated to steampunk — Adelaide Steampunk. They run costumed events and are currently planning a steampunk fashion display to be held at AvCon (Adelaide’s Anime and Video Games Convention). Avid steampunk aficionado, and one of the organisers of Adelaide Steampunk, Steve Scholz dropped by Literary Clutter to say a few words. I asked him about his favourite steampunk fiction and what it was about the sub-genre that attracted him, both as a reader and a costumer. I’ve read numerous efforts set in a steampunk universe, some not within my own perceptions of the genre. But I will give a big green light to Kim Newman’s Anno Dracula and The Bloody Red Baron. Anno Dracula was a precursor to The League of Extraordinary Gentlemen — forget the movie, the graphic novel and its sequels are gold. The cross pollination in these novels was the breeding ground for the games and the costuming efforts which followed — the elegance of the era, the craftsmanship, the natural materials of production. Mixing massive orbital space platforms with top hats and frock coats is a fantastic design challenge and the historical context of a British Empire where the human spirit of endevour is limited only by one’s imagination. Besides, it looks awesome! The popularity of steampunk is all around. You can buy jewellery, clothes, decorations, even a steampunk computer. And, as well as reading steampunk, you can watch it. Take a look at the tailers for the films Steamboy and Adventures of Adèle Blanc-Sec. And then there’s my all-time favourite steampunk film, the Australian animated masterpiece The Mysterious Geographic Explorations of Jasper Morello. You can watch the trailer on the official website. Steampunk is making a place for itself within popular culture. Elements of it are even creeping into other tv shows and movies. Witness the Cyberking from Doctor Who tv special, “The Next Doctor”. It certainly seems that steampunk is going to be around for a while… even I’m not immune to its charms. As well as reading steampunk, I’ve also dipped into the sub-genre as a writer. A few years ago my steampunk-esque short story “Nigella and the Clockwork Man” appeared in a dark fantasy anthology called Shadow Plays, which co-incidentally had two other steampunk stories — “Calliope: A Steam Romance” by Andrew J McKiernan and “Crystal and Iron” by EJ Hayes. Do you have a favourite steampunk book? Have you tried writing steampunk? Do you tap away at the keyboard of a steampunk computer? Leave a comment and tell us about it. And tune in next time as Carole Wilkinson, author of Sugar Sugar, drops in for a chat.